The latest edition of Focus on Mercy has been uploaded and can be viewed here. Project updates and news from all over. 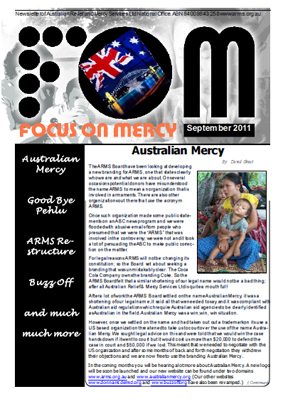 This edition also covers important information about our new branding “Australian Mercy“. The PDF version is downloadable here .